A religiously and socially symbolic seed like no other on this planet. It is used in rites of kolanut communion in bucolic African communities, especially in Igboland in particular and Nigeria in general. It is the famed ingredient in Coca Cola, but has long been revered for its energizing effects. It stimulates the central nervous system and improves mental alertness, as well as reducing physical fatigue and appetite. Theobromine produces stimulant effects similar those of caffeine, but it is milder. The amount of caffeine in kola nut can vary, depending on the species. WARNING: Pure kola nut strengthens the action of analgesics and caffeine-containing beverages, so use responsibly and with caution. A religiously and socially symbolic seed like no other, Kola Nut is used in rites of communion in bucolic African communities, especially in Igboland and Nigeria in general. It is the famed ingredient in the original “Coca Cola” soft drink and has long been revered for its energizing effects. In Western Africa, these trees are usually found growing near the sea-coast, and a big trade is carried on with the nuts by the natives of the interior - with Cola Nut being eaten by them as far as Fezzan and Tripoli. A small piece is chewed before each meal to promote digestion; it is also thought to improve the flavour of anything eaten after it and even to render putrid water palatable. Kola Nut is thought to support mental alertness and help to reduce physical fatigue and appetite. * The primary active constituents in Kola Nut are caffeine and theobromine. They can be found in all parts of the plant, but are in their highest concentrations in the seeds. Caffeine is a mild stimulant found in coffee and tea. Caffeine supports mental alertness and helps reduce physical fatigue and appetite. Theobromine produces effects similar those of caffeine, but is milder. The amount of caffeine in Kola Nut can vary, depending on the species. Concentrations of 2.0%-3.5% caffeine are common in Kola Nuts from Cola acuminata and Cola nitida (the species most often consumed). The amount of theobromine in these species is almost always somewhere near 1.0%, or a bit less. 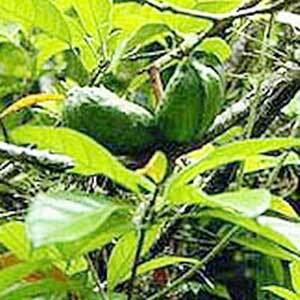 Kola Nut also contains theophylline which is similar to caffeine in its structure and effect. WARNING: Pure Kola Nut strengthens the action of analgesics and caffeine-containing beverages.